I had no idea this was possible. This is my third pregnancy. I’ve spent 25 months of my life pregnant, and I’m just now experiencing 11 days without getting sick. My previous record was 9 days. Do I feel great? No, I feel…pregnant. You know, tired, a little nauseous from time to time, and uncomfortable because I’m 31 weeks and this little guy is really filling up my abdomen. But it’s so much better than the way I usually feel. In fact, the way I usually feel is so awful that I’ve decided I officially hate pregnancy. And I officially don’t care if that offends you or makes you think that I’m the least maternal woman on the planet. I first had the guts to confess that to one of my dearest friends in the world a few months ago, because I knew she wouldn’t judge me, because she values honesty, and because she can relate. In fact, I kinda feel like a wimp complaining about pregnancy to her. Her pregnancies are actually life-threatening. Mine, on the other hand, are only miserable. I’ll take miserable over danger to baby or danger to mommy, that’s for sure. Several of my friends refer to my pregnancies as “rough,” and I usually try to downplay it or correct them, saying “but let’s keep in mind that the babies are always healthy and my life is never in danger.” That’s a lot more than other women can say. I’ve seen enough moms lose babies to know that I can never take these little ones for granted. So here’s my disclaimer: I appreciate everything that I have. I appreciate the life living inside of me, the ability to safely carry a baby to full term, and Lord willing, the prospect of carrying another baby in the future. I know there are women who would love nothing more than to be pregnant and have a happy, healthy baby. But being honest about the misery and difficulty I have when I’m pregnant doesn’t nullify the pain of these women in any way. And while I enjoy the idea of being pregnant and all that it entails, I don’t have to relish throwing up. I don’t have to enjoy the damage that happens to my teeth every pregnancy, the struggle I have to gain weight, or the exhaustion I feel after getting sick again. I’m frequently told that I should be glad I won’t have baby weight to lose, but I firmly believe that just shows how much our culture values thin that we would say a woman should be glad she vomits frequently if it helps keep the weight off. The truth is, I’d rather have a normal pregnancy and have some weight to lose than be miserable for 9 months. To be quite honest, every pregnancy, I feel pretty darn alone. Why? Because few people understand what this is like. Only my husband really knows what life is like for me during these 9 months, because his life gets very difficult too. Someone has to take up the slack. So now that I’m nearing the end of my last pregnancy, I’ve decided to accept it: my pregnancies are rough. And in my attempt to feel a little less alone, and to encourage other women who are going through the same thing, I thought I’d try to share with you the true story of what pregnancy looks like for me. What’s so rough about pregnancy for me? Can’t I handle a little nausea, a little morning sickness here and there? Sure, I can handle that. But that’s not my reality. I used to think my morning sickness was normal. Finally, in my sixth month of pregnancy with my first child, when my weight gain totaled 6 pounds and my doctor needed me to come back in a week for a weight check, I decided that maybe this wasn’t very normal after all. So here’s what my normal is. Ever heard of the term Hyperemesis Gravidarum? I’m hesitant to say that I have this medical condition, but I’ve often wondered. I meet several of the qualifications, but I’ve never gone to the ER for IV fluids, even though I probably should have. Nor have I lost 5% of my body weight. More like 3%, in one weekend. But vomiting significantly impairs my ability to live my life and care for my children. I throw up. Often. On good days, it doesn’t happen at all. On a good day, I might just have to leave the dinner table, run to my bedroom, turn off the lights, and rest in silence and darkness for a while, in hopes that I’ll keep my food down. Maybe I will, and maybe I won’t. I usually try to eat lunch separately from the kids too, in case I feel sick or get sick. It’s just easier. Get sick. That’s my favorite euphimism for vomiting. It sounds much more polite and far less graphic. If I wake up in the morning and get sick, I might be fine and continue on with my day. Or it may completely drain me, forcing me to lay down and wait for energy to return. Regardless, I focus on my next goal: eating again. Most of the time in pregnancy, I hate eating because I never know how I’ll feel during and after a meal, no matter how great it is. And it’s really hard to eat after I’ve just gotten sick. I don’t want to eat. There’s this delicate balance of time. Eating too soon means I’ll probably get sick again. Eating too late means I’ll definitely get sick again, before I even have the chance to eat. But eat I must, for the sake of nutrition and my baby. If I’m lucky, the food stays down, energy returns, and I go about my day. But sometimes it’s an all-day cycle. By the time I go to bed, I’m worn out and so hungry, because the second dinner isn’t enough calories. But I can’t eat anymore. Have you ever gotten sick 5 times in 2 hours? Changed your child’s diaper and started vomiting during it? Stopped the car, gotten out to get sick, and then had to drive home afterwards? Gotten sick 3 times in a week and called it a good week? Do you ever decide what to eat based on how it comes up? Have you opened the pantry door and then puked in the kitchen sink? Put a load of clothes to wash, only to have to run to the bathroom immediately because something smelled funky? Gotten sick 8 times in 3 days? Do you know why I will always keep a cup or container in my car with me at all times? Right. TMI, probably, but that’s our life. Most of those examples are from second and third trimesters of pregnancy, not the first, and I find that getting sick later in pregnancy is much more exhausting than in the first trimester. I’m guessing it’s because the baby needs more calories and nutrients, so he’s taking it from mom, but I could be wrong. In previous pregnancies, I’ve also had a hard time emotionally. I feel very alone at times, like no one understands. People make comments about nausea being difficult, as if I’m just nauseous. They suggest sprite and saltines or rave about the wonders of Zofran. Meanwhile, I’m stuck vomiting. Frequently. For nine months. And I can’t complain too much, because then I’m perceived as not grateful for the life that’s growing inside of me. And then there’s part of me that just gets tired of talking about it anyway. If you ask me how I’m feeling on a bad day, I’ll probably tell you to ask me again tomorrow, because it’s got to be better than today. I’d rather think about the positive things. 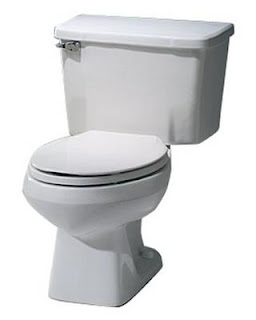 Let’s talk about baby gear and itty bitty diapers, not hugging the toilet. I also have a hard time emotionally because I have to give up a lot of the homemaking things that I enjoy, and I start feeling useless, lazy, and like I’m a burden on my family. I’ve had thoughts about hating my life, even though I know it’s a grand one. But I can hate throwing up. 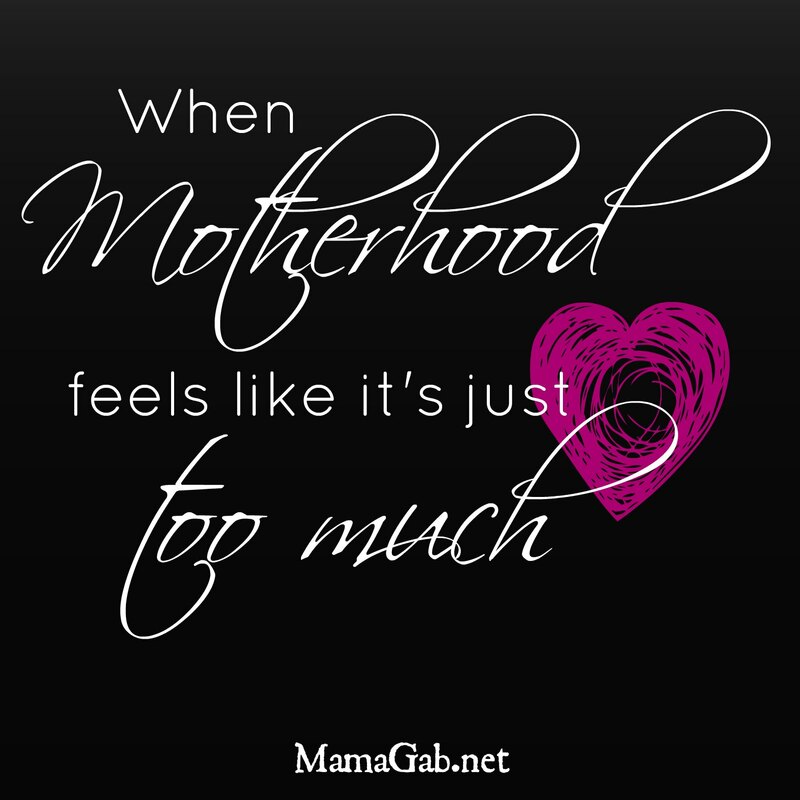 So this pregnancy, while I still apologize to my husband often for the things he has to do around the house, I don’t struggle as much emotionally as I have in the past. For one, I’ve accepted that fact that people, even women who have been pregnant, just don’t understand. They can’t or won’t. “Normal” morning sickness feels so miserable for most women that they can’t imagine anything worse, even though mine is definitely worse than most. And during this pregnancy, I accepted early on that I would have to lower my standards for keeping up the house, cooking, and caring for the children. I’ve done this pregnancy thing often enough to understand that there are seasons in life, and this is a miserable one for me. But it won’t last forever. And it doesn’t define me as a woman, a mom, a homemaker, a mother, a wife, or a Christian. I do gain weight. When I delivered my daughter, I’d gained a total of 12 pounds. That was my “no medication” pregnancy. I’ve had to resort to trying various medications now that I’ve got little ones to care for, though the medications don’t seem to completely work for me. And I gained 20 pounds with Andrew. This pregnancy, I’ve gained somewhere around 12 pounds, and I’m currently 31 weeks along. It really could be worse. Women with hyperemesis often don’t gain weight at all, or they lose weight the entire time. My babies are also healthy weights. Isabelle weighed 6 pounds, 14 ounces and was delivered 2 weeks before her due date. I was almost the full 40 weeks with Andrew, so he weighed 8 pounds, 5 ounces. He was a big guy. The other good news is that I rarely have 2 bad days in a row, and I attribute that to keeping me out of the hospital. I may lose every single meal in a day, but most likely, I’ll be able to keep food down tomorrow. That’s always my hope, and I’m able to focus on hydration and rest, so that I can get back to my version of normal. And every pregnancy, for me, is a lesson in faith, practicing my trust in God to give me what I need to get through this day. I don’t know what tomorrow holds, but we just focus on today’s “daily bread,” God’s provision of energy and strength, or rest, to get through the day. Every pregnancy, I also grow closer to my husband and appreciate him even more. For us, pregnancy is a chance to exercise our mutual belief that marriage is not 50/50. It’s 100%, regardless of what the other person is giving. I can’t give 100% when I’m pregnant. On most days, I won’t be able to meet his needs for a peaceful home. Meal planning doesn’t happen much of the time. Grocery shopping is a struggle, as are cleaning house and cooking dinner. But he’s still giving 100%, and I give 100% of what I have to give, which isn’t much, but he knows I’m trying. Marriage is precious. I hate to be such a downer about pregnancy, but this really is what life looks like for us sometimes. Not all the time. Not every day. But frequently. Right now, I’m enjoying my 11 days without getting sick. My husband is enjoying coming home to a wife who has done laundry, cooked dinner, and is not hanging out in bed looking at Facebook because she’s out of energy. It’s a nice change for both of us. Next week, I’ll share with you how we cope, how we manage the housework, the kids, how I’m able to get the rest that I need, and why it’s so important to me to keep our routines and activities in place, even if it’s some added stress and exhaustion. I hope this wasn’t too miserable or depressing to read. I’ve debated on whether to share this post for quite some time, but I finally decided that other moms might find it encouraging to know that you’re not alone. And after managing morning sickness for three pregnancies, I’ve learned a lot that might help you as you deal with it too, and I’ll share those tips next week. If it’s a good week, that is! Also linked up on Raising Arrows. I relate to the not liking pregnancy. I’m 33 weeks right now with baby #2 and i’m so “done”. I’m almost 32 weeks and ready for him to be here. It nothing else, I know I’ll feel better when he arrives, and that’s usually the only “cure” for my morning sickness. Thanks so much, Marianne! We definitely need the prayers. It’s tough on all of us, but we manage. And this week has really been so wonderful. I KNOW you’re not alone. I have yet to experience pregnancy (within the next couple years, I hope! My hubby and I are still in college, though, so it’s not a good time yet.). But I’ve been seeing a lot of posts by women who have had hyperemesis, so I know there are plenty of women out there who are going through the same thing you are. And you’re perfectly justified in saying you hate being pregnant. That doesn’t make you a bad mother or anything; it’s just for you, being pregnant stinks. A lot. I hate throwing up, too; I know I wouldn’t handle it well. I know you know that you’ve only got a few more weeks to go. You can do it!! You’ll feel so much better when Baby comes…and it will be worth it. Thank you all for your encouragement! Christ definitely gives me strength when there is none! Sarika, I’m so sorry for your allergy issues. That must be miserable. Thank you for posting this. As I type this I am sitting here on the couch again waiting to get sick for the 5th time today. Medications don’t seem to work, and everyone seems to think that saltines and ginger ale would cure me. If I even look at another cracker I think I’ll get sick. Thank you for the encouragement. It is hard when you’re this sick to not feel so alone, especially with no one else to relate to. I’m praying for a happy, healthy baby for the both of us. God Bless! Thank you for this it truly helps to see I’m not alone… I’ve been miserable with baby number 4 but blessed I didn’t go through this with my first 2 children just the girls it seems….